Brief Synopsis: "As the Avengers and their allies have continued to protect the world from threats too large for any one hero to handle, a new danger has emerged from the cosmic shadows: Thanos. A despot of intergalactic infamy, his goal is to collect all six Infinity Stones, artifacts of unimaginable power, and use them to inflict his twisted will on all of reality. Everything the Avengers have fought for has led up to this moment - the fate of Earth and existence itself has never been more uncertain." Rob from GuysFilmQuest 94 - Great combination of fun, intense, and impactful. Blends the characters nicely. 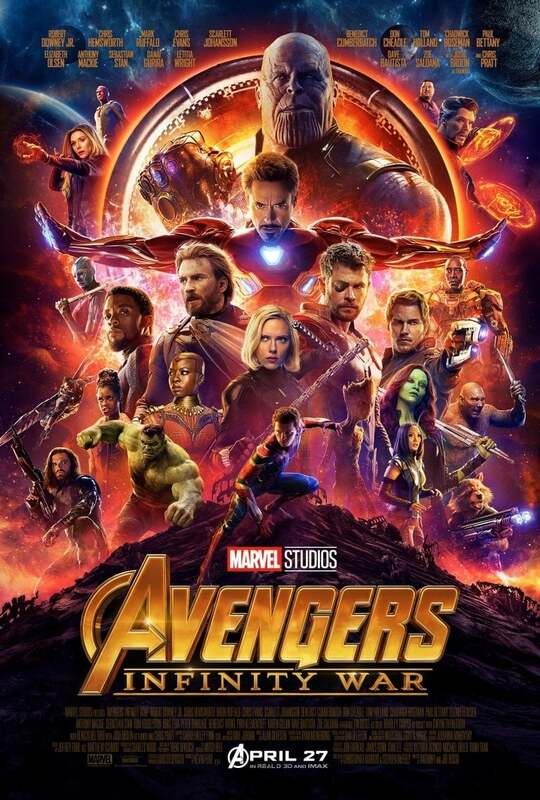 Minnesota Man 90 - Avengers: Infinity War may be the first toll of a bell signaling the end of an era but there’s still a few clangs yet to ring out. Lisa Marie Bowman 85 - A big, sprawling pop art masterpiece.